(TibetanReview.net, May20, 2016) – After Shigatse (Chinese: Xigaze), Chamdo (Changdu) and Nyingtri (Lingzhi), China is preparing to elevate Lhokha (Shannan) from prefecture to a prefecture-level city, with preparations for the purpose being in full swing, reported the official chinadaily.com.cn May 19, citing a news release issued by the local government May 18. The report said China’s state Council (or cabinet) decided to raise the prefecture to the level of a city in Jan 2016. It added that a ceremony for the elevation will take place on May 27. This will make Lhokha the fifth prefecture-level city in the region, the first being Tibet’s ancient capital Lhasa. 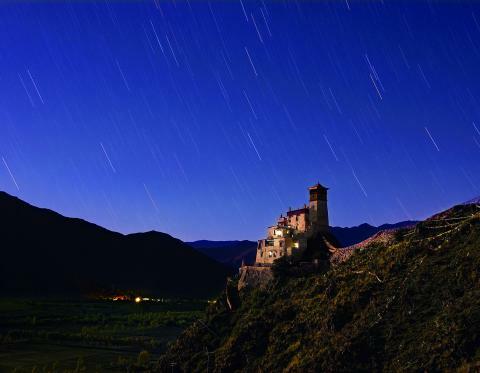 The report said Lhokha, with an average altitude of 3,700 metres above mean sea level, is known as the birthplace of Tibetan culture and is home to many firsts, such as Tibet’s first palace, first monastery, first castle and first village. It also has, at Tsethang, tombs of Tibet’s ancient kings. Being upgraded to a city means more independent decision making power and less dependence on the TAR authorities at Lhasa. The decision is expected to lead to faster urbanization and with it more immigration from China. This will leave only Nagchu (Naqu) in the north with its vast cold desert region and Ngari (Ali) in the remote west as the only prefectures in the TAR without the status of being a city. I have the aportunity to make a visit Lokha area in 2005 and found that Tsethang is the name of the City and Lokha is name of the District. The name of First Monastery is called Samye and the first Castle or Palace is Yumbu Lhakhar and first farm land is also there below the Hills is called Sothang Ringmo. The toms of Tibet’s ancient Kings were located at Chongyal not at Tsethang (The City). Thank you.